﻿ "Thackeray"... An exquisitely photographed biopic that chooses to play safe! Tusshar Sasi	 January 25, 2019	 Leave a Comment on “Thackeray”… An exquisitely photographed biopic that chooses to play safe! What do you make out of a biopic film that is designed simply to reassert the public image of its subject? Directed by Abhijit Panse, Thackeray is not even an image reconstruction exercise like, say, Sanju because there does not exist a need to be one. 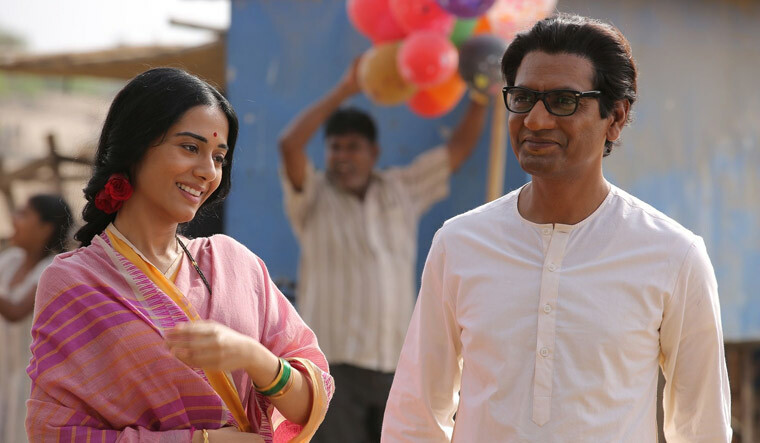 That way, the film is pretty honest about what Mumbai’s beloved leader Balasaheb Thackeray stood for – his rigid right-wing ideology and the use of violence to assert supremacy over his opponents. Fair enough, but isn’t all this information available in the public domains anyway? The speeches, the controversies – the target audiences know every bit of it. As a result, you will continuously find yourself questioning the reason behind making this film. For once, with such elementary writing in place, the film feels no different from the recent documentary on Sachin Tendulkar’s life. Thackeray refuses to explore its subject’s psychology, insecurities and instead chooses to view him from a distant ivory tower. I will begin with the interesting bits rather. When was the last time we got see a mainstream, commercial Hindi film which was shot largely in black-and-white? As risky as it might sound, Thackeray – with its fully monochrome first half – is one of the most beautifully photographed Indian films in recent years. Sudeep Chatterjee’s frames – even in the coloured portions – refuse to make us look away from the screen. 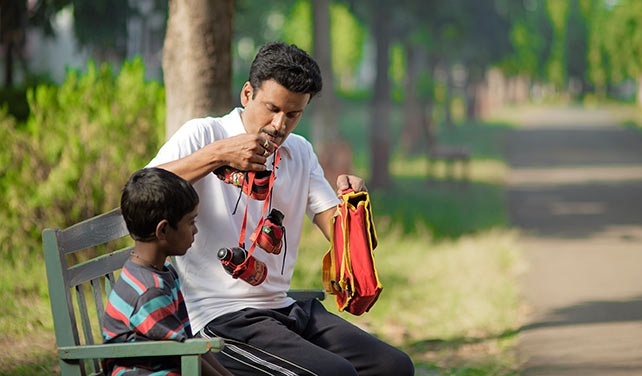 The impact is further accentuated by Ashish Mahatrae and Apurva Motivale Sahai’s snappy editing which eases out the film’s frequent narrative shifts with remarkable style. Production design (Sandeep Sharad Ravade), makeup and costumes (Kin Bathija) are other departments that effectively bring out the graphs of the characters and their surroundings with great finesse. That said, with a screenplay as staid and direct as Thackeray‘s, there is a limit to what a crackling technical crew can achieve. Agreed, Balasaheb (played by Nawazuddin Siddiqui) has had an eventful life that made mammoth differences to many lives. It isn’t really a rags-to-riches tale but one of an extremely creative man who brought about a revolution in a city (or a state rather) based on certain values that he deemed right. What was he as a person, if we minus all political and ideological layers from his characterization? We are never told. Thackeray tells us nothing about the man’s role as a son, a husband and a father even though we see the man rooted in his family setup. 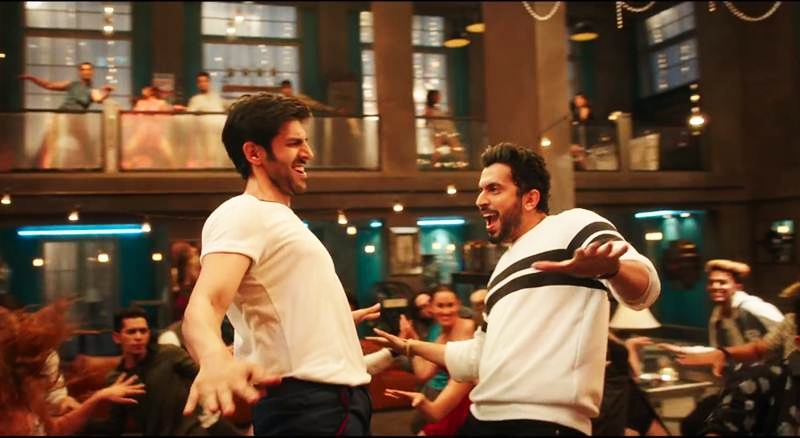 As for the way his virtues develop over time, the film shows its protagonist watching an animated film at Mumbai’s iconic Eros Cinema in the company of whom he calls outsiders. I am still confused about the showreel attached to the main film. Was it an actual one or a figment of the character’s imagination? For a fact, the end rolls of the film credit certain Swami, Murthy, Menon, Shah, Lakdawala and others – essentially non-Maharashtrians. Now, this is exactly what in general parlance is a fine example of bad writing. Here is what an educated man – an adept cartoonist – known for his sense of humour and previously employed at a media house accumulate ideas from an unfunny, amateur animated clip. Delving further, you get to see zero inklings of Balasaheb’s humorous side in the film. I am pretty sure that the real person was 10-times more charming and wittier than the ever-so-aggressive version that we see in the biopic film. Through the course of Thackeray, we see a spate of politicians and revolutionaries making their appearances. There is Morarji Desai, Indira Gandhi and Sharad Pawar and some of them even resemble their real-life counterparts. However, the fact remains that the film seldom shows us the man we didn’t know of – one that we rather wished to know more about. On the sunny side are the speeches mouthed by Balasaheb Thackeray – possibly lifted from some of his real writings – which sound as authentic as they might have in those days. Nawazuddin Siddiqui is tremendous in the title role that limits him to the seams of its subject’s political beliefs and oratory skills. The character design never gets personal but Siddiqui makes the most of the material on papers. The courtroom sequence where he speaks about the controversial Babri Masjid Demolition is smartly devised but is also ironic if we take Siddiqui’s real identity into account. One must give it to the actor for surrendering completely to his character’s ideologies as a bunch of lines that he mouths might sound vile to many. Photographed gorgeously in monochrome, Amrita Rao is perfectly cast as Balasaheb’s wife Meena Tai who plays a catalytic part in her husband’s life. To Rao’s credit, she gets one emotional scene to showcase her histrionics and she does a swell job at that. Prakash Belawadi as the trade union leader George Fernandes is typecast but is effective in his own unique way. Overall, Abhijit Panse’s Thackeray is an easy victim of an underwritten screenplay. It doesn’t whitewash the controversial leader but rather idolizes him from the start till the end. While the technical genius and fine performances make it a watchable film, Thackeray doesn’t contain enough spark to be called a worthy biographical film. Previous Post“Destroyer”… A slow-burn thriller anchored by a sensational Nicole Kidman!